I want to thank you for your help, i won my case and the bank want to settle out of court. Fraud Stoppers Team took me out of the confusion and darkness and put me on a road of structure and knowledge . Each day there was a goal set and achieved , I had been fighting a battle they were initiating a process , that made all the difference. On each step of their process I found their paperwork to be top notch , there support people always there with the right answers. 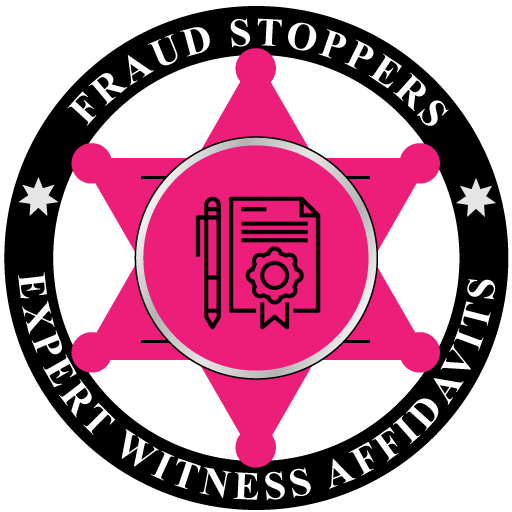 If you like I find yourself fearful wandering in darkness and confusion bombarded with information and misinformation ;make a call to the Team at Fraud Stoppers . I did and have no regrets. I would like to say that I love your website,and I think you guys are spot on when it comes to the issue with loans originating from the area 2005,2006,2007 and so on. FRAUD STOPPERS helped me in many ways. I contacted them because I was struggling with a foreclosure action started by Bank of America which devolved to LSF9 Master Participation Trust serviced by Caliber Home Loans (actually owned by LSF9, covertly). 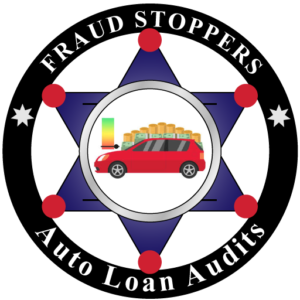 FRAUD STOPPERS began its help by providing a free audit of the mortgage history of my property and introduced me to the concept of tangible and intangible note and security documents. Through your agency I was referred to law firm that is working on research of my original mortgage file. This I was told is about a year, and I am about 3 months into it. Yes we need more fraud stopper in all area of this Society. To tell it as it is about the one percent and the ninety nine percents. 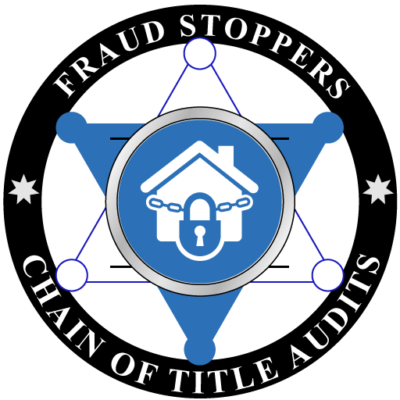 Thanks too the one and only Fraud Stoppers I found that I was a tenant and not the owner and I was kicked out of my property as a tenant in common and not the owner. Over come the deception and a bifurcated separation of tittle and deed. Thanks again for ALL you do to help people like me and all the others you make claim you have helped. You and Neil are doing a great job and there seems to be a LOT of movement out there and across our nation to finally get people to understand this huge racketeering scam that has gone on far too long. You folks are just great people who give solid information I have not been able to obtain until today. Just a big thanks and little hope that your who I think you are, considering how long I have faced the incessant frauds and crimes that have essentially stripped everything in my life without any honest advocate. Thank you again for any type of help you provide. 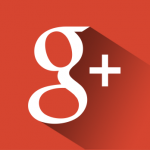 I am very happy with the work your company has done and your genuine concern. Next month I am going to sign on with Legal Shield as you also suggested. This is Willis from SC. 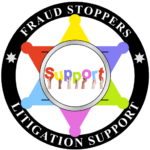 I thank the whole staff of the Fraud Stoppers in doing a great job in the litigation dept. Especially Amy! She is one heck of a woman. Joe you are very lucky to have her on your team! Peace and blessings to you all. Thank you so very much, Frank and Damion, for being on top of this and so quick in your response. I will be reviewing it later on this evening, or perhaps tomorrow morning! I appreciate the notes back to me! I am satisfied with the answers and corrections. The answers definitely helped me understand the relationship between government guaranteed loans, recordings & securities. 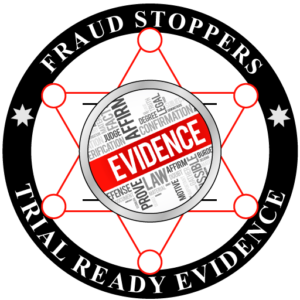 Among many attributes, Fraud Stoppers’ program has a great deal of information and resources available. It’s really good to have information that someone I trust has looked at and approves of before spending time reading it. 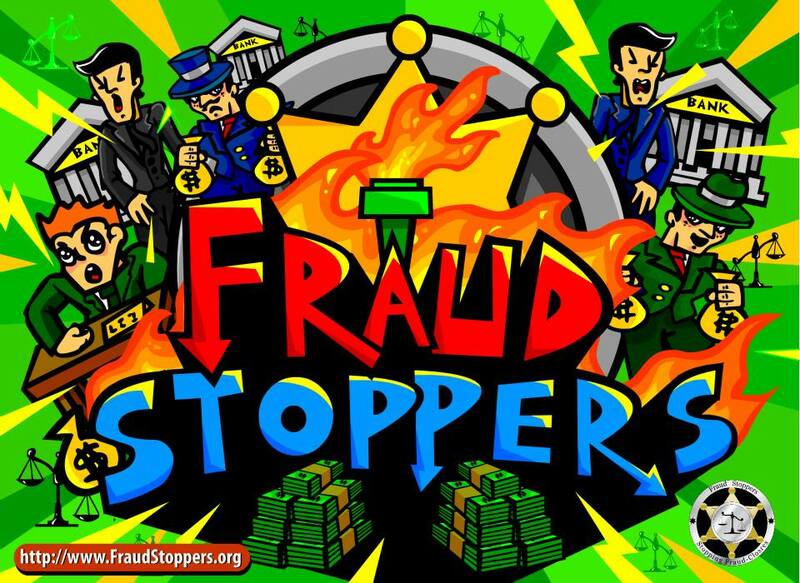 Fraud Stoppers sends me helpful emails like this one. Great advice. Beautiful product launch!!!! Looking forward to working with ya’ll again, soon! Thanks for the effort…hope I can put it to good use. Just wanted to pass on to you a big thank you for the analysis. It was great talking to someone that brings a ray of hope through all the deceptive evil that surrounds us. I reviewed the documents and I am very impressed with the information. I have learned even more.I look forward to more and thanks. Keep up the good work. Thank you very much, Damion and Frank! Your work is much appreciated! Thank you, also, for a speedy response! Thanks for all your help. I appreciate it. I hope all is well with you. I just wanted to wish you a Happy Holiday and thank you for all your hard work. I look forward to working with you in the new year. 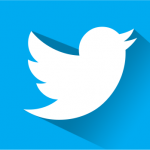 Thank you so very much for your concern and the information you are willing to share. I will follow-up as discussed. I certainly appreciate you and the work being done to help others.Thanks again. I forgot to mention that I’m still in my home! AND I’m having fun! I think Fraud Stoppers is awesome. 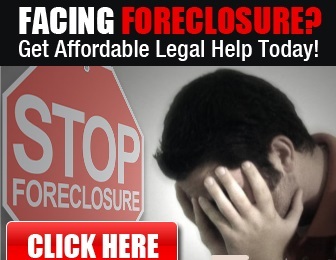 What you guys do is to help others save their homes from foreclosure. FRAUD STOPPERS helped me stop my foreclosure and get a huge principal reduction on my mortgage. 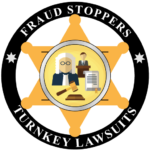 I just wanted to say thank you to FRAUD STOPPERS for helping me get a $35,000 keys for cash settlement. So YES, I would absolutely refer FRAUD STOPPERS to anyone looking for help with a foreclosure issue, because they didn’t make any false promises to me, and they did exactly what they said they would do. 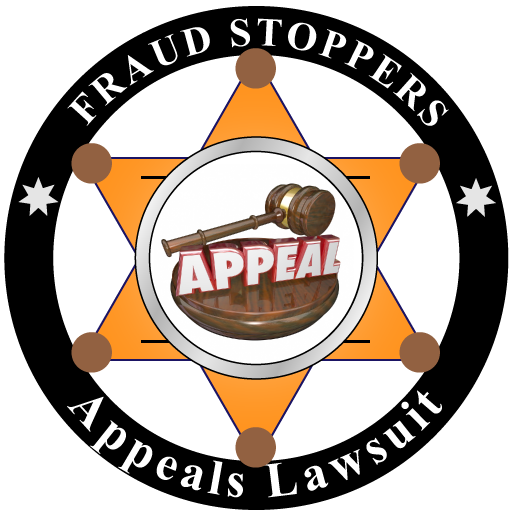 Thanks FRAUD STOPPERS for helping me sue for mortgage fraud at the last minute. I stopped my foreclosure and I am currently negotiating with my lender for a principal reduction. And it looks like they’re gonna forgive all of my late payments, over $28,000! 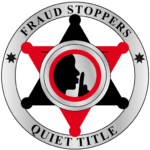 I filed FRAUD STOPPERS quiet title lawsuit and Wells Fargo stopped the foreclosure sale faster than Trump fired the FBI director. I’m telling you guys I anit never seen anything like this before. 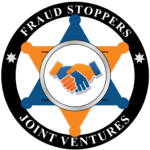 FRAUD STOPPERS I owe you guys big time. Thank you. 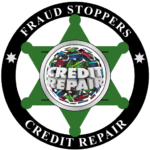 I wanted to say thank you to FRAUD STOPPERS for helping me save my house from foreclosure and get a super awesome loan modification. In fact Ocwen agreed to forgave almost all of my late payments. So thanks FRAUD STOPPERS. You guys are great! Listen if you need help with your mortgage we recommend FRAUD STOPPERS because we got the help we needed for free! My neighbor referred me to FRAUD STOPPERS, and within a few minutes on the phone I knew I found the right place to help me with my foreclosure. They connected me to a local law firm that filed a federal lawsuit against Bank of American for me, on contingency. That lawsuit is still ongoing, but I can tell you that the help I got was worth way more than the $100 membership fee I paid. So if you’re looking for a trustworthy company to help you save your home from foreclosure, I highly recommend FRAUD STOPPERS. 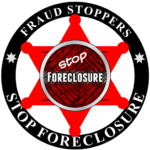 I called FRAUD STOPPERS to help me save my house from foreclosure. But unfortunately I called them too late. Hey but at least they scam me out of money like the mortgage fraud examination company I paid $2500 to. 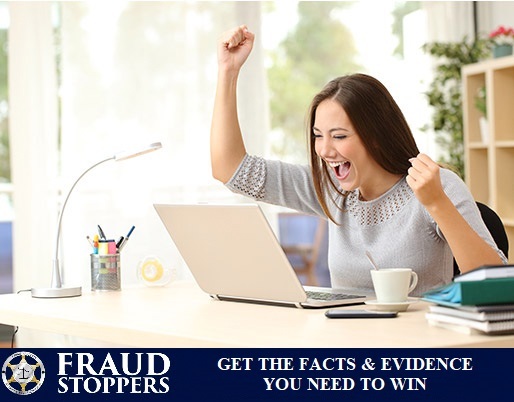 Thanks FRAUD STOPPERS for telling me the truth. At least you guys tried, and that’s all I could ask for. If I find anybody I’ll send them your way. 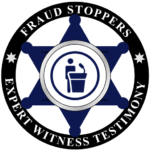 I’m here to tell you that FRAUD STOPPERS helped me save my house from foreclosure without having to spend an arm and a leg for an attorney. 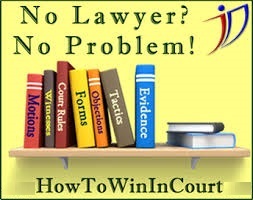 They provided me with a court ready lawsuit, all of the evidence I needed, and full litigation support. I was able to sue my lender for mortgage fraud and negotiate a settlement offer that was better than I had ever hoped for. In fact the entire process was a lot easier than I expected too. They even took care of the entire mediation process for me.So bottom line, if you need help with a mortgage or foreclosure issue call FRAUD STOPPERS right now because I’m sure you’ll be as happy and satisfied as I am. Thanks FRAUD STOPPERS for helping me save my home. 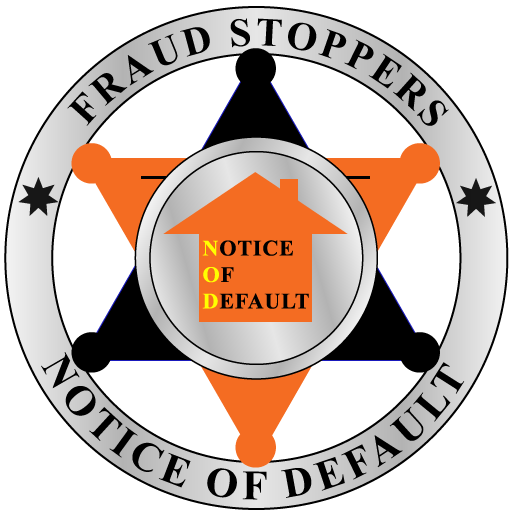 I just wanted to let you know that I used FRAUD STOPPERS to stop my foreclosure. Thanks FRAUD STOPPERS. You guys ROCK! 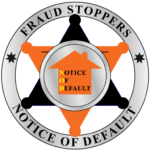 We want to let you know that we used FRAUD STOPPERS to save home from foreclosure. 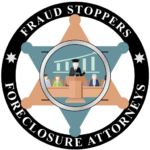 If you’re fighting a foreclosure we recommend FRAUD STOPPERS because they’re honest, and they know how to stop a foreclosure and bring the bank to the negotiating table. Well guys here we are 14 months later and I just left the court where Wells Fargo foreclosure case was dismissed with Prejudice. That’s right with Prejudice! Can you believe it. Now all we have to do is sue for quiet title and I’m home free. I applied for a loan modification 8 different times and each time I was denied. I paid several companies and lawyers and none of them had any luck getting my loan mod approved. 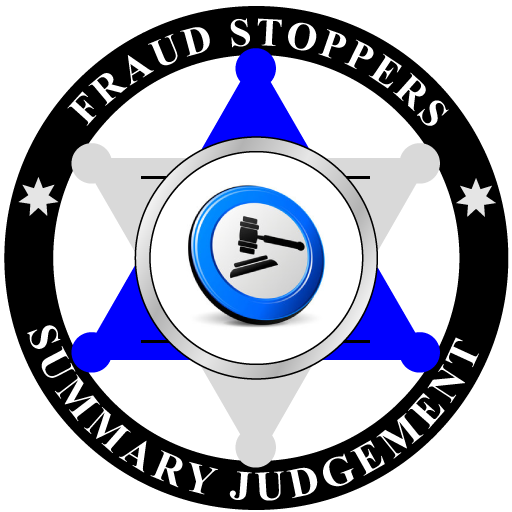 This last time there was a foreclosure sales date set one of my patients referred me to FRAUD STOPPERS. To be honest I had already lost hope and was going to just give up, but Mary told me I got nothing to lose to call them. Thank you FRAUD STOPPERS you guys did the impossible. I owe you one. 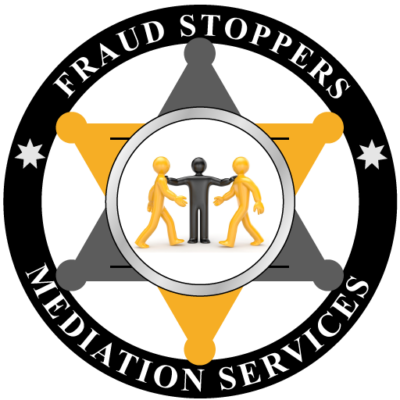 FRAUD STOPPERS helped me in my foreclosure fight with SPS. They gave me the legal documents to stop the foreclosure sale, and they negotiated a principal reduction of my loan of more than $50,000. 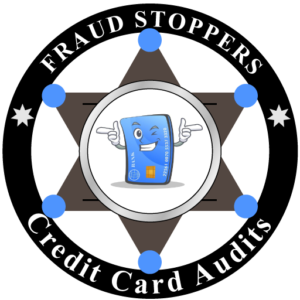 I would recommend FRAUD STOPPERS to anyone. Cheers! Thank you for all the help. I just got everything in order ready to file last night. I’m going to go over everything one more time today thoroughly to make sure I did everything 100% correctly so I can file this evening. I will also call Nathan today to get more information on using him. I’m very excited to get this filed. I will definitely keep you updated on my progress. Thank you. 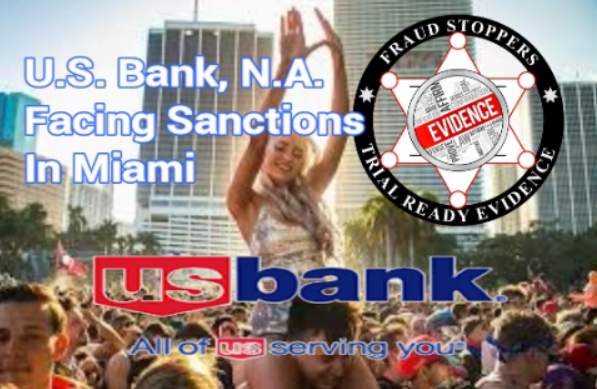 Foreclosure Judges Taking Bribes from Banks to Illegally Foreclose on Homeowners? You Defeated Plaintiff’s Motion for Summary Judgment, But Do You Know The Ten Things You Need To Do Next? “I cannot decide for you the moral obligations you should pursue; but if a wrong has been committed against you (such as a clouded title or a fraud resulting from a mortgage loan) you have the duty as an American property owner to correct it. Filing a lawsuit (in my book) reflects one’s personal responsibility.”. 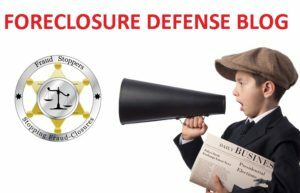 Breaking News for Homeowners Who Want to Stop a Foreclosure Sale or Eviction and Sue for Quiet Title or Wrongful Foreclosure: According to a government audit nearly 83% of mortgages survey contained legal errors and violations that could be problematic for lenders! CHANCES MAY BE VERY GOOD THAT YOUR MORTGAGE LOAN CONTRACT CONTAINS LEGAL ERRORS AND VIOLATIONS. According to a government audit 83% of the mortgages surveyed contain legal violations and errors. Legal violations, errors, breaches of contract, appraisal fraud, mortgage fraud, clouds on title, and other issues may have caused many mortgage transactions to be legally problematic for lenders attempting to foreclose. Furthermore these legal issues could result in Borrowers having legal grounds to file suit as a countermeasure to foreclosure. If you are currently facing foreclosure, or you have recently lost your home to foreclosure, we recommend that you take immediate action and join FRAUD STOPPERS Private Members Association today so we can help you get the facts and evidence you need to get the legal remedy the law entitles you too, and that you deserve. 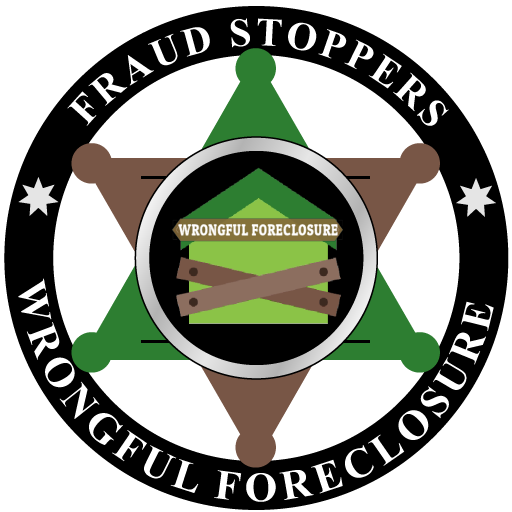 Learn How to Stop Foreclosure & Mortgage Fraud and Cancel Secured and Unsecured Debt Obligations through Strategic Litigation. Some have said that upwards of 95% of all home loan borrowers have suffered injuries in the form of appraisal fraud, mortgage fraud, legal errors, contract breaches, and/or regulatory law breaches. 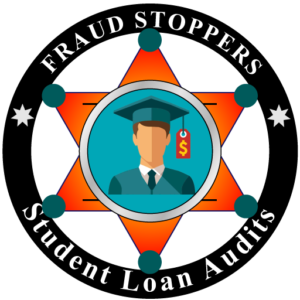 To discover these, the borrower must hire a competent professional to conduct a comprehensive examination of all documents related to the loan transaction. With an examination report in hand to prove the injuries, the borrower may negotiate a favorable settlement or sue for damages. Only such an examination, and artfully presenting the causes of action revealed in the exam report, can provide a reliable way for the borrower to end up with cash in hand or other financial compensation for the injuries. MERS functions as a centralized electronic registry of mortgages, and it was supposed to track the ownership of these mortgages, which are typically sold multiple times during the loan’s life. MERS potentially affects millions of residential mortgage loans nationwide, and almost completely crashed the U.S. housing market by itself because of so many problems with the packages. MERS was created by lenders and title insurance companies, so it would be easier to transfer the beneficial interests to other secondary market lenders. Yet, some mortgages ended up significantly discounted due to packaging problems, which made them inactive. Missing documents, notary fraud, and “robo-signing” led the way. There was a lot of chaos involved with MERS mortgage packets, which contained no original promissory notes (the “IOU” for the mortgage debt) in these same MERS files. 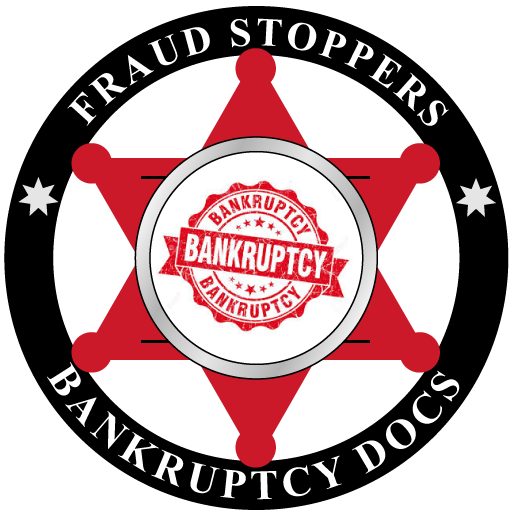 Knowledgeable homeowners were able to completely stop their home foreclosures by pointing out that the foreclosing entity, such as the mortgage servicing company, didn’t have a legal right to foreclose on their homes, since they didn’t have all of their valid mortgage paperwork in their files. These questionable ownership interests in the mortgages led to foreclosure moratoriums, court settlements, and inactive statuses. 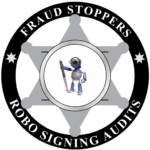 There were a large number of allegations of notary fraud in which real or fake notaries such as “Linda Green” were allegedly part of the massive “Robo-Signing Scandal” nationwide. 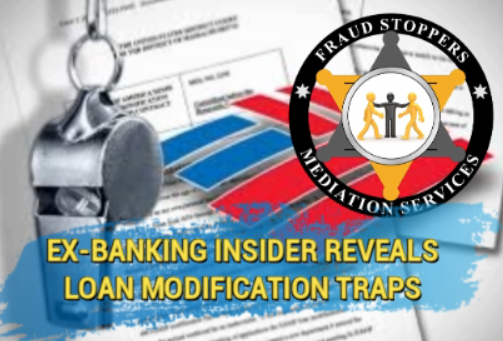 It has been suggested that promissory notes, deeds of trust or mortgages, and other loan or title documents were forged, left blank, or illegally assigned to numerous mortgage investors. Since MERS was set up to become as paperless, speedy, and efficient as possible, there was not enough third party oversight to check whether these documents were valid. “No Note = No Debt” became the mantra for homeowners who were in the midst of their own foreclosures due to the weaker U.S. economy. Some savvy property owners were able to legally void their existing mortgage debt altogether by proving that the foreclosing mortgage company had no valid beneficial interests in the existing mortgage, and thus had to legal right to collect any payments. Other homeowners were able to show that their MERS files had fraudulent notary signatures signed on behalf of both owners and lenders, which moved their file designations over to “inactive” as well. Mortgage lenders that have collapsed or imploded since the official start of the Credit Crisis back in 2007, such as Countrywide, Indy Mac, Lehman Brothers, World Savings, Downey Savings, and Washington Mutual still figuratively exist by way of their asset or beneficial interest transfers to the “strawman” named MERS. MERS may pay no taxes or employ anyone. Without the proper assignment of these MERS mortgages, these same imploded mortgage companies’ loans could have ceased to exist. If Mortgage Electronic Registration Systems (MERS) is involved, MERS is named as beneficiary or nominee agent to the Mortgage Loan Originator. Registration on the MERS system is required and when registered, an 18-digit Mortgage Identification Number “MIN” is created. The first seven digits identify the registering lender and the last digit is a checksum number. If the Electronic Mortgage Loan Package is registered in the MERS registry, there is no physical transfer of the Electronic Mortgage Loan Package. 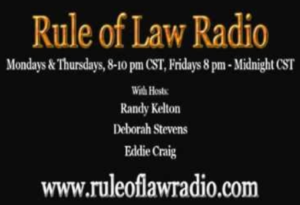 The perfection of lien rights (Perfected Chain of Title) does not match the Chain of Negotiation of the Tangible Note shown by endorsements or lack thereof and shows the Tangible Note is no longer secured by the Security Instrument as the Security Instrument becomes a nullity as an operation of law. The Trust is conveyed a transferrable record, leaving the Tangible Note, less the rights securing it which include the power of sale as would exist if the Security Instrument securing the UCC Article 3 Tangible Note was assigned in accordance to State statute. 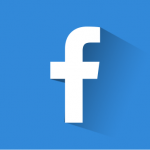 The ESIGN Act – 15 USC §7003 excludes instruments governed by the UCC Article 3, 8 and 9 or the State equivalent. Therefore, the intangible claim cannot be negotiated electronically. The Tangible Note and the continuous perfection of the Security Interest can only be pledged as an intangible interest in the payment stream of the UCC 8 instrument. The Intangible Payment Obligation can only be negotiated in paper form. The fact is the requirements set forth in the pooling and servicing agreements were not followed, and they were not followed in the following way. The pooling and servicing agreements says that when the notes are transferred to the trust there needs to be an endorsement in blank to the trust, as well as a complete chain of endorsements for all proceeding transfers. 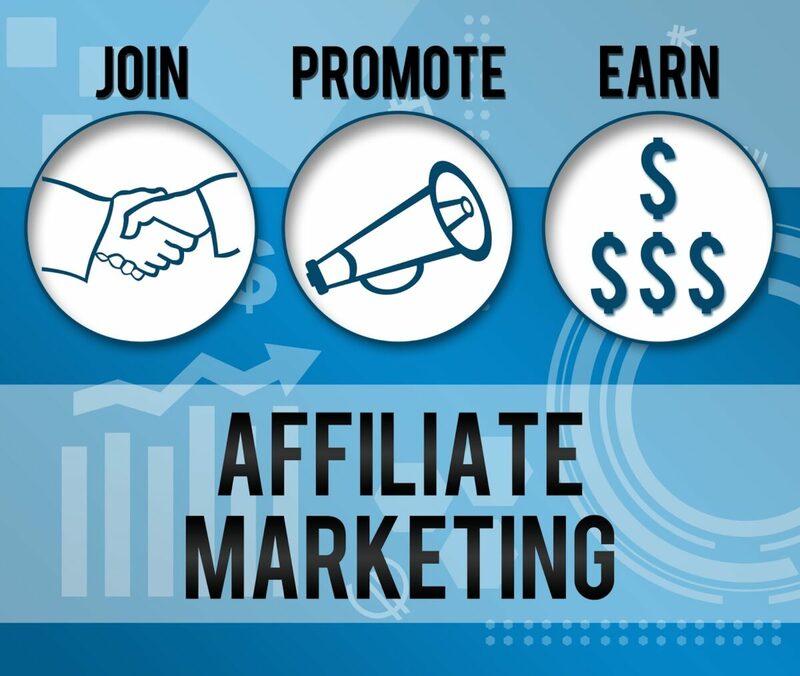 That means that the originator of the loan must have a specific endorsement transferring it from the securitization sponsor, the sponsor to the depositor, and then the depositor in blank to the trust. What I am told is that in most of the cases that chain of endorsements is not there. There is simply a single endorsement in blank. That creates a problem because it does not comply with the trust documents. 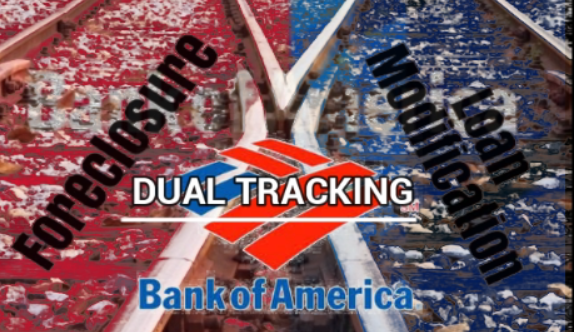 That is a severe problem because most pooling and servicing agreements are trust that are governed by New York law, and New York law says that if you are not punctilious in following the trust documents for a transfer, the transfer is void. It doesn’t matter if you intended it or not, it’s void. That transfer is void, even if that transfer would have otherwise complied with law. And if the transfer is void that would mean that the trust does not own the mortgages, and therefore lacks standing to foreclose. 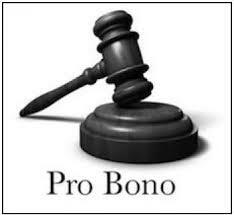 It’s axiomatic that in order to bring a foreclose action the plaintiff must have legal standing. Only the mortgagee has such standing. 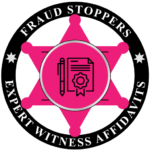 Thus, various problems like false or faulty affidavits, as well as back dated mortgage assignments, and altered or wholly counterfeited notes, mortgages, and assignments all relate to the evidentiary need to prove standing. 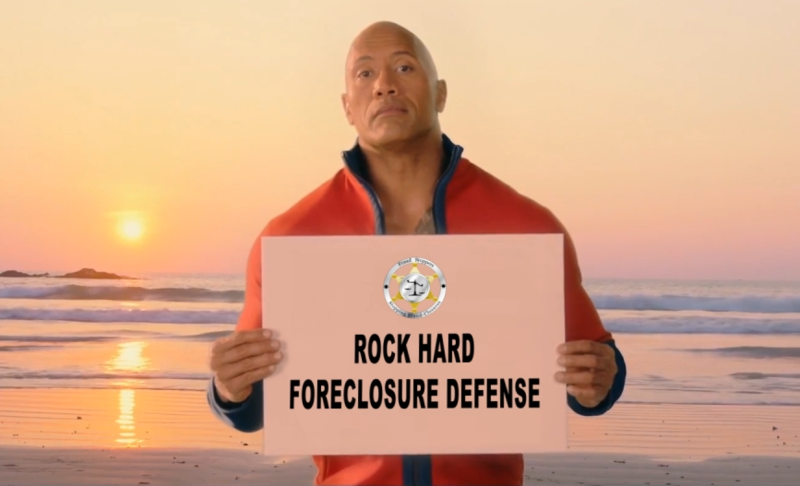 Because without standing you have no authority to bring a foreclosure action in the first place! 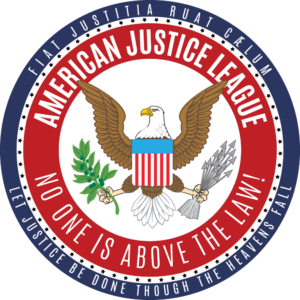 However the banks and their attorneys are going to succeed by not having a properly perfected lien or Chain of Title, by stating that they negotiated the note in Bearer Form under Article UCC 3205 Sub section B with no payee named as a bearer instrument. 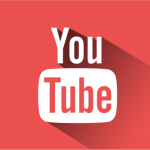 This essentially gives them a purported temporary perfection of the original holder, while they physically transfer the instrument, by daisy chain, which doesn’t require for them to maintain a Chain of Title, until the instrument is specially endorsed. Furthermore, under revised article 9 of the Uniform Commercial Code (UCC) the banks do not necessarily have to record each transfer of the mortgage loan contract in public records; all they must do is be in possession of the note and they can claim rights to enforce it. That’s how the banks and their attorneys can beat you. 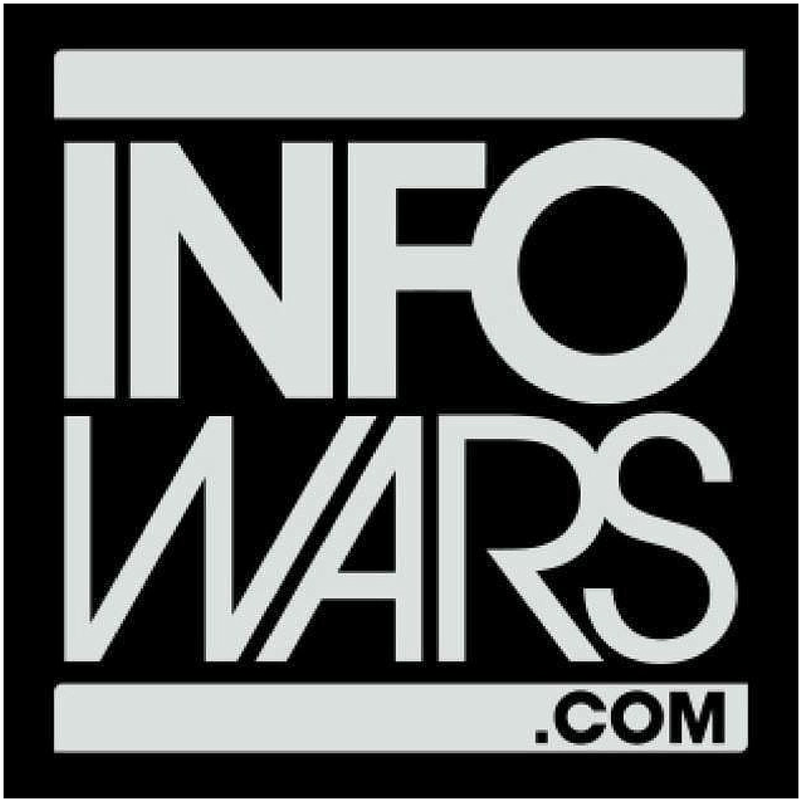 So, having the proper capacity, order of operations, and then statement of facts of how they lost perfection, and to show that it is inequitable for the holder of the receivables to attempt to cause an assignment of the underlying security instrument, because they were only negotiated the receivables, with unclean hands. That’s what you must show that they don’t have an equitable claim to. 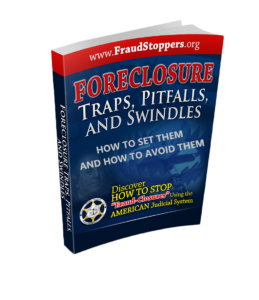 Learn more by getting your free copy of our eBook Foreclosure Traps Pitfalls & Swindles: How to Set Them and How to Avoid Them. In THE PAPER CHASE: SECURITIZATION, FORECLOSURE, AND THE UNCERTAINTY OF MORTGAGE TITLE ADAM J. LEVITIN writes “the mortgage foreclosure crisis raises legal questions as important as its economic impact. Questions that were straightforward and uncontroversial a generation ago today threaten the stability of a $13 trillion mortgage market: Who has standing to foreclose? 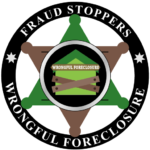 If a foreclosure was done improperly, what is the effect? And what is the proper legal method for transferring mortgages? These questions implicate the clarity of title for property nationwide and pose a too- big-to-fail problem for the courts. The legal confusion stems from the existence of competing systems for establishing title to mortgages and transferring those rights. Historically, mortgage title was established and transferred through the “public demonstration” regimes of UCC Article 3 and land recordation systems. This arrangement worked satisfactorily when mortgages were rarely transferred. Mortgage finance, however, shifted to securitization, which involves repeated bulk transfers of mortgages. Like many other cases, current trial court decisions are getting reversed because the courts are waking up to the reality of the rule of law. 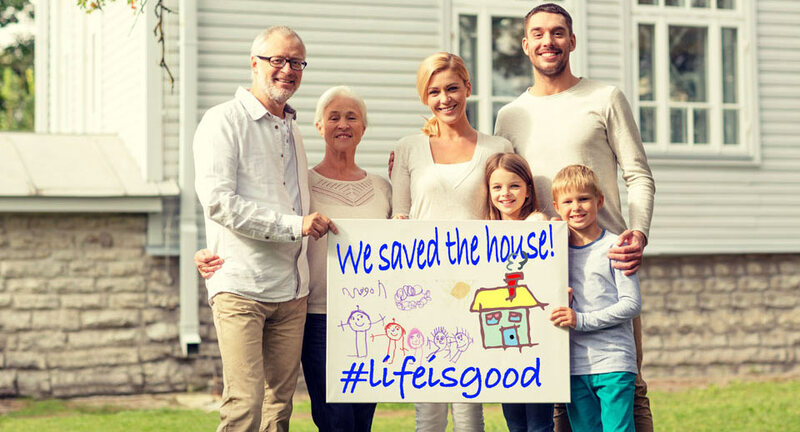 What they have been following is an off the books rule of “anything but a free house.” However a recent Yale Law Review Article eviscerates the assumptions of a free house for the homeowners and destroys the myth that somehow that policy has saved the nation. You can read the Yale Law Review article “In Defense of “Free Houses” for more information on this tide change. To facilitate securitization, deal architects developed alternative “contracting” regimes for mortgage title: UCC Article 9 and MERS, a private mortgage registry. These new regimes reduced the cost of securitization by dispensing with demonstrative formalities, but at the expense of reduced clarity of title, which raised the costs of mortgage enforcement. This trade-off benefited the securitization industry at the expense of securitization investors because it became apparent only subsequently with the rise in mortgage foreclosures. The harm, however, has not been limited to securitization investors. Clouded mortgage title has significant negative externalities on the economy as a whole. Many of the programs that had modest success in the early days have fallen into disfavor as banks have enacted strategies to counter their progress. The banks are not going to go down without a serious fight. They have a large arsenal of tools to use, and the legal muscle to keep the industry off balance. This is not a static game. The reason that banks have been successful, for the most part, in protecting the large number of mortgages that were securitized is that there is an intricate web of legal theories that they hide behind to justify what they have done. In effect, they have created a shell game where the ball seems to move around in defiance of the laws of physics. The banks are relying on a complex interaction between UCC 3 commercial paper law, UCC 9 securitization law, bailment law, agency law and local laws of the jurisdiction where the property is located. They would have us believe that what they have been doing since the 1970’s is perfectly legitimate. Many lawyers who have challenged the banks have gotten close to exposing the scheme only to find that judges retreat away from the complexity of the legal theories involved and fall back on procedural barriers under the auspices of protecting the equitable interests of the banks and their agents. 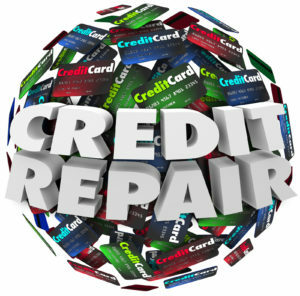 Mortgage Error Resolution/Request for Information: If you believe there is an error on your mortgage loan statement or you’d like to request information related to your mortgage loan servicing, you must exercise certain rights under Federal law related to resolving errors and requesting information about your mortgage loan. 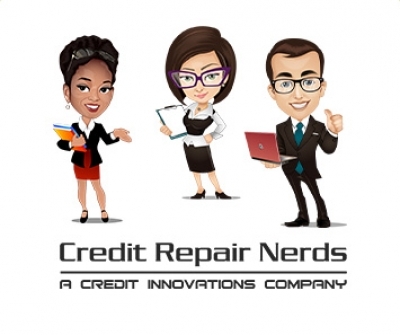 If you think your credit report, bill or your mortgage loan account contains an error, or if you need more information about your mortgage loan, you send a written letter concerning your error and/or request. Subsection of Presentment (example Covenant 8 of UCC3 Note) shows NOTE and under paragraph 1 states: “BORROWER’S PROMISE TO PAY: In return for a loan that I have received, I promise to pay…. I and any other person who has obligations under this Note waive the rights of Presentment and Notice of Dishonor. “Presentment” means the right to require the Note Holder to demand payment of amounts due. “Notice of Dishonor” means the right to require the Note Holder to give notice to other persons that amounts due have not been paid. 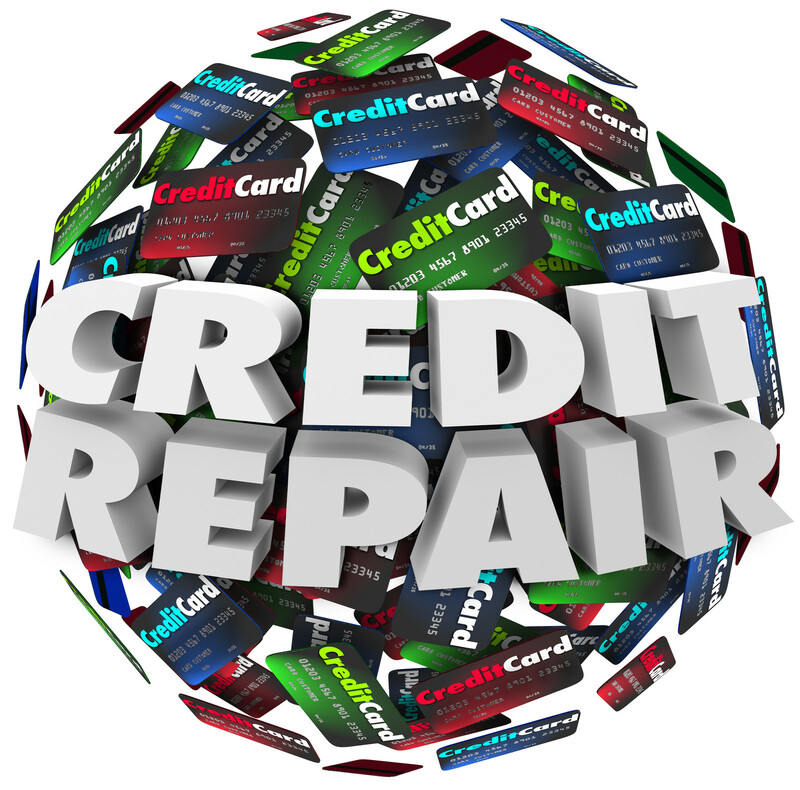 Often a debt collector cannot validate a debt and therefore cannot legally enforce collections. 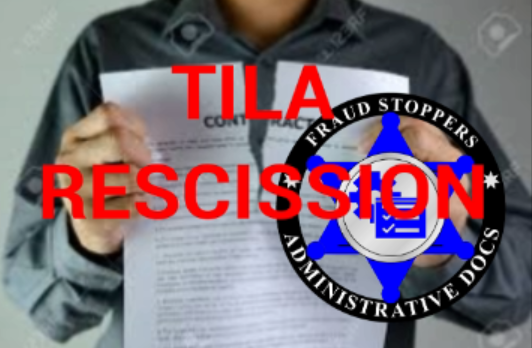 A mortgage loan covered by the Truth in Lending Act may be rescinded by mailing a Rescission Letter to the purported lender, forcing the purported lender/creditor to oppose that rescission with a lawsuit within 20 days or lose all opposition rights. 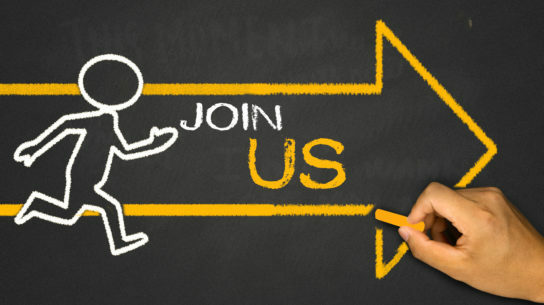 The primary focus of the legal aspect of our program revolves around taking the theories and best practices that have been most successful around the country and make refinements. “Here, the specific defect alleged is that the attempted transfers were made after the closing date of the securitized trust holding the pooled mortgages and therefore the transfers were ineffective. Our program seeks to avoid getting mired in the complexity of the various areas of law involved, instead focusing on a simple, focused approach that makes it harder for judges to avoid the strength of our core arguments. The PMA trustees and executive team have a diverse set of skills and significant experience in the core areas that will improve the success factors for our operations. 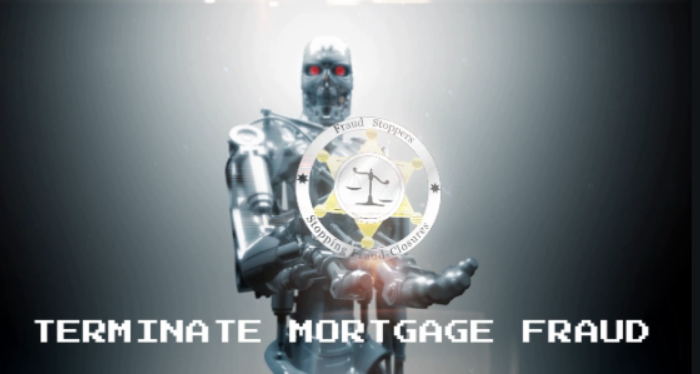 We have spent an exhaustive amount of time analyzing all of the cases that have been successful in resolving mortgage securitization problems. We have designed our legal information litigation strategy to hit the banks hard and fast where they are most vulnerable. 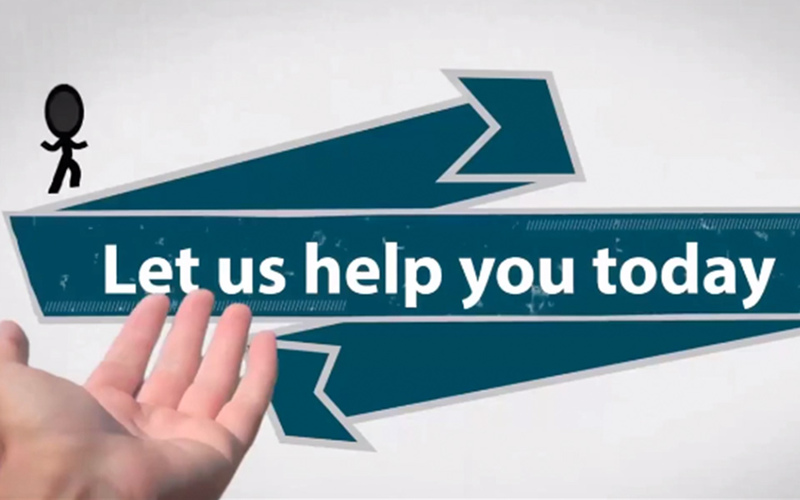 Our primary focus is on helping you try to get clear and marketable title to the property by arguing that the actions of the banks have made the security provisions of the mortgage/deed of trust unenforceable. 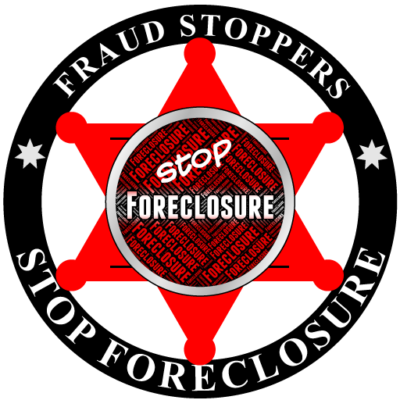 Stop Foreclosure & Mortgage Fraud Sue for Breach of Contract. 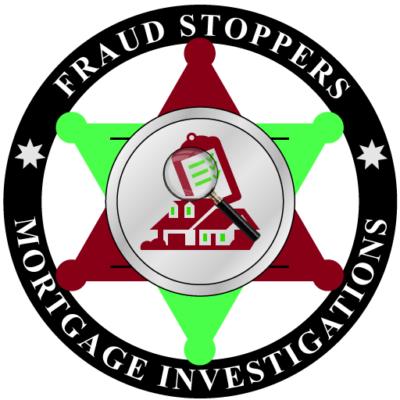 If you are currently facing foreclosure, or you have recently lost your home to foreclosure, we recommend that you take immediate action and JOIN FRAUD STOPPERS PMA today. 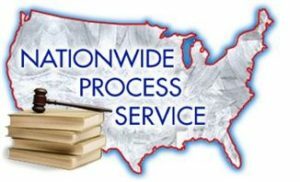 We will analysis your mortgage loan documents for signs of fraud, and show you a proven way to save time and money and increase your odds of success suing for financial compensation for mortgage fraud, clear and free title to your home, or both! 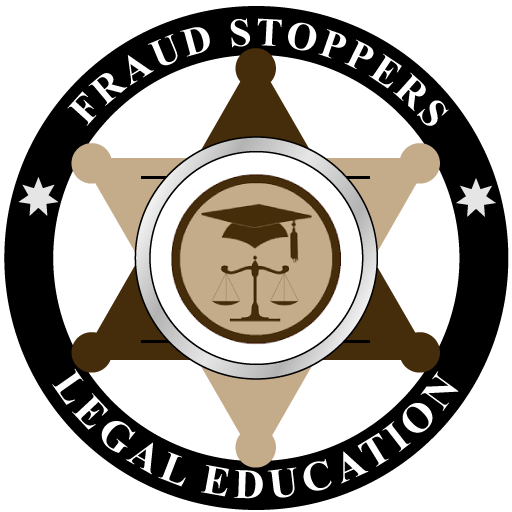 If you would like learn How to Cancel Secured and Unsecured Debt Obligations through Strategic Litigation join FRAUD STOPPERS right now and we will show you how. We will also conduct a Bloomberg securitization search and Mortgage Fraud Analysis of your mortgage loan documents to uncover violations of the Uniform Commercial Code (UCC) and local laws of jurisdiction regarding the possible improper Negotiation, Transfer, and Delivery of the mortgage loan contract throughout the securitization process to determine what legal options your current mortgage loan situation qualifies for. 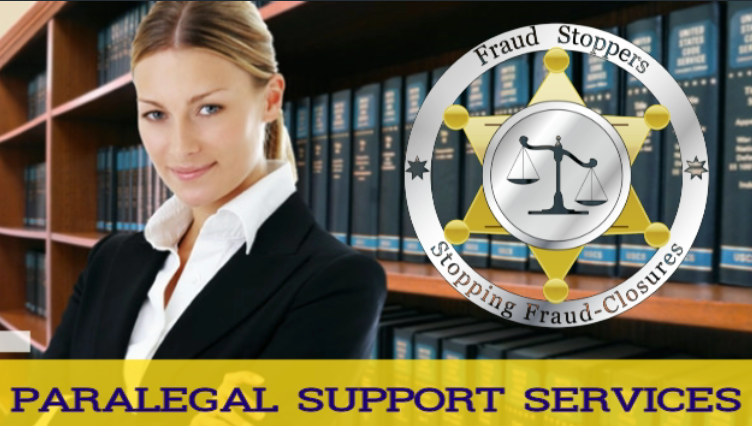 Then we will help you formulate an effective and affordable strategy to get the legal remedy that the law entitles you to, and that you deserve. Yes. 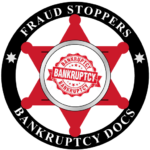 Upwards of 95% of all home loan borrowers have suffered injuries in the form of appraisal fraud, mortgage fraud, legal errors, contract breaches, and/or regulatory law breaches. To discover these, the borrower must hire a competent professional to conduct a comprehensive examination of all documents related to the loan transaction. With an examination report in hand to prove the injuries, the borrower may negotiate a favorable settlement or sue for damages. Only such an examination, and artfully presenting the causes of action revealed in the exam report, can provide a reliable way for the borrower to end up with cash in hand or other financial compensation for the injuries. 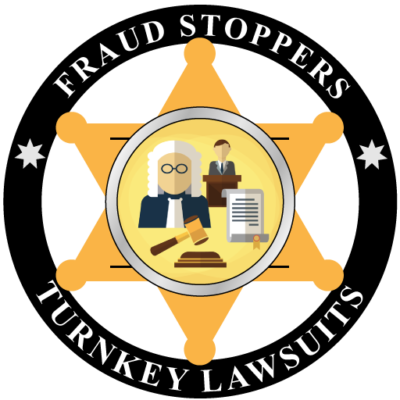 Now is the perfect time to stand up for your legal rights and sue for beach of contract, mortgage fraud, and foreclosure fraud because the legal tide is beginning to turn, and homeowners are starting to win! 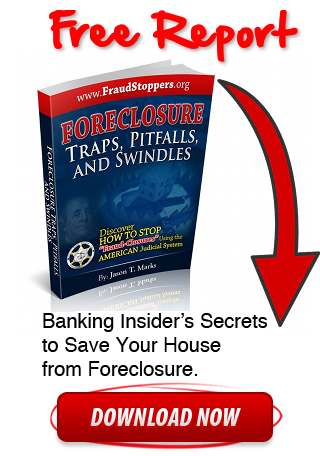 Get the FACTS and EVIDENCE that you need to fight mortgage and foreclosure fraud, and save your house from foreclosure right now.